With so many programs to choose from, deciding between a home equity loan a line of credit can seem like a daunting task. Whether you want to consolidate debt, pay tuition or make home improvements, the experts at Bank of England Mortgage have the information you need to make a decision and achieve you financial goals.  If you're in search of home equity loan information, we can help! Here are our most frequently asked questions about home equity loan refinancing. Why choose Bank of England for home equity loan refinancing? Bank of England is a reputable bank best known for its simple, hassle-free service. After more than 110 years in business, we have learned that its customers want the lowest possible rates and the highest level of customer service. Whether you're buying your first home or you need home equity loan information from a trusted source, we can help. For more information about home equity loan refinancing, contact us today. What exactly is home equity loan refinancing? Home equity loan refinancing allows you to unlock money from the value of your home - its low interest rates help you consolidate debt, pay college tuitions, make home improvements or even take a vacation. Let us help you choose the program that's right for you - call us today at 262-649-5443 for more home equity loan information. Is home equity loan refinancing the same as home equity line of credit? Not quite. With a home equity line of credit, your monthly payment is based on the balance you presently owe, whereas the home equity loan locks you into predetermined monthly payments based on the original amount borrowed. Speak to a Bank of England Mortgage expert today for more home equity loan information. Where can I get more home equity loan information? At BOEWisconsin.com you can compare home equity loan rates quickly & easily! Check out our mortgage calculator or try the loan recommendation tool to see if home equity loan refinancing is right for you.